100 years later the ground is still poisoned and deadly. As the song “Shapes of Things” by the Yardbirds goes. “Now the trees are almost green, but will they still be seen, when time and tide have been? When will we ever learn? 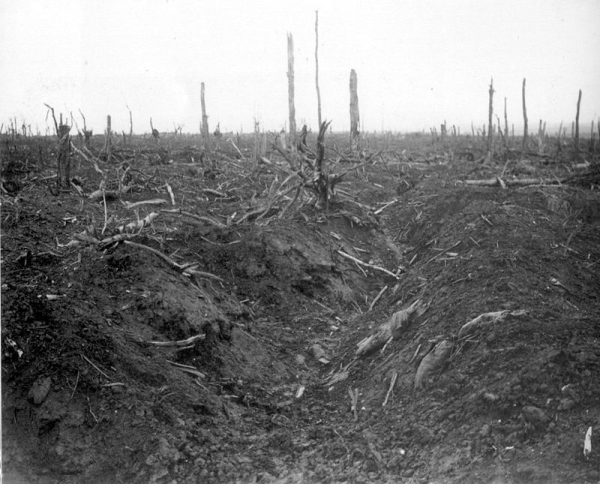 World War I was over almost 100 years ago and the landscape is still uninhabitable and scared with bomb craters. Farmers are still uncovering ordnance. Ordnance that contains not only explosives but poisonous gas. Here is a testament to what we have done and continue to do. Are you near the Madisonville area? Be sure and go by DAVE’S STICKY PIG BBQ! Next Post: Continuing the Study of the book of John “The Naked Adam Show!